Your gift to Family Policy Alliance of North Dakota will actively advance legislation that protects your family, rally pro-family North Dakotans to the polls, and make sure your voice is heard. Gifts to Family Policy Alliance of North Dakota are not tax-deductible. If you would prefer to make a tax-deductible donation instead, you can give to Family Policy Foundation of North Dakota in support of education and training. By clicking "Donate Now," you confirm that you are a U.S. citizen. If you are not a U.S. citizen, please click here to donate to Family Policy Foundation of North Dakota. If you already give to Family Policy Alliance, we genuinely thank you for partnering with us as we seek to engage the culture through biblical citizenship! Please note: This page is for making a single gift or setting up recurring monthly gifts. You cannot change your current recurring gift amount here. If you want to change your recurring gift, please call us at 1-866-655-4545. Your gifts to Family Policy Alliance are not deductible as charitable contributions for federal income tax purposes. Contributions or gifts to Family Policy Alliance, a 501(c)(4) organization, are not tax-deductible. 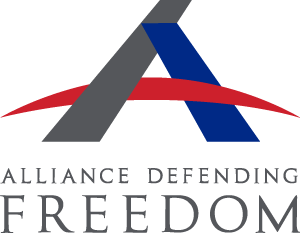 Family Policy Alliance does not accept contributions from labor unions, foreign nationals or federal contractors; however, it may accept contributions from federally registered political action committees. Donations may be used for political purposes such as supporting or opposing candidates, but we reserve the right to not accept restricted gifts earmarked for the support or opposition of any particular candidate, committee, or political party. The first $1 of your annual gift keeps your membership status active for an additional year. Our policy is to apply all gifts given toward a specific program to that program. Occasionally, we receive more contributions than can be wisely used toward a specific project. When that happens, we use these funds to meet other pressing needs that spread the Gospel of Jesus Christ by helping to preserve traditional values and the institution of the family. A copy of Family Policy Alliance’s audited financial statement can be downloaded at www.familypolicyalliance.com/about-us/legalfinancial/. Certain states in which Family Policy Alliance is registered to solicit charitable contributions require us to advise you that a copy of our financial report and other information also is available from them. If you are a resident of the following states, you may obtain information by contacting: Florida: A COPY OF THE OFFICIAL REGISTRATION AND FINANCIAL INFORMATION MAY BE OBTAINED FROM THE DIVISION OF CONSUMER SERVICES BY CALLING TOLL-FREE WITHIN THE STATE, 1-800-435-7352. REGISTRATION DOES NOT IMPLY ENDORSEMENT, APPROVAL, OR RECOMMENDATION BY THE STATE. Florida Reg. #CH18072. Georgia: Upon request, Family Policy Alliance will provide a full and fair description of this and its other programs and a financial statement or summary. Maryland: For the cost of copies and postage, registration documents and information submitted under the Maryland Charitable Solicitations Act are available from the Maryland Secretary of State, State House, Annapolis, MD 21401, (410) 974-5534. North Carolina: Financial information about this organization and a copy of its license are available from the State Solicitation Licensing Branch at 1-888-830-4989 (within North Carolina) or (919) 807-2214 (outside of North Carolina). The license is not an endorsement by the State. Virginia: A copy of the financial statement is available upon request from the State Office of Consumer Affairs in the Department of Agriculture and Consumer Services, P.O. Box 1163, Richmond, VA 23218. Washington: The registration statement required by the Charitable Solicitation Act is on file with the Washington Secretary of State. Financial disclosure information is available from the Secretary of State, Charities Division, P.O. Box 40234, Olympia, WA 98504 or by calling 1-800-332-4483. West Virginia: West Virginia residents may obtain a summary of the registration and financial documents from the Secretary of State, State Capitol, Charleston, West Virginia, 25305. Registration does not imply endorsement.